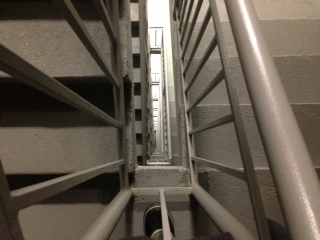 Now that I’m starting to get some strength, I’ve decided to start using the stairwell. (I live on the 14th floor.) The idea came to me when the fire alarm went off accidentally a few days ago, and we walked *all* the way down to ground level. My lower legs hurt for days. Wait a minute–thats what exercise is suppose to feel like! So today I got off on the 10th floor, to walk up the remaining four floors, and I’m going to increase it every other day.